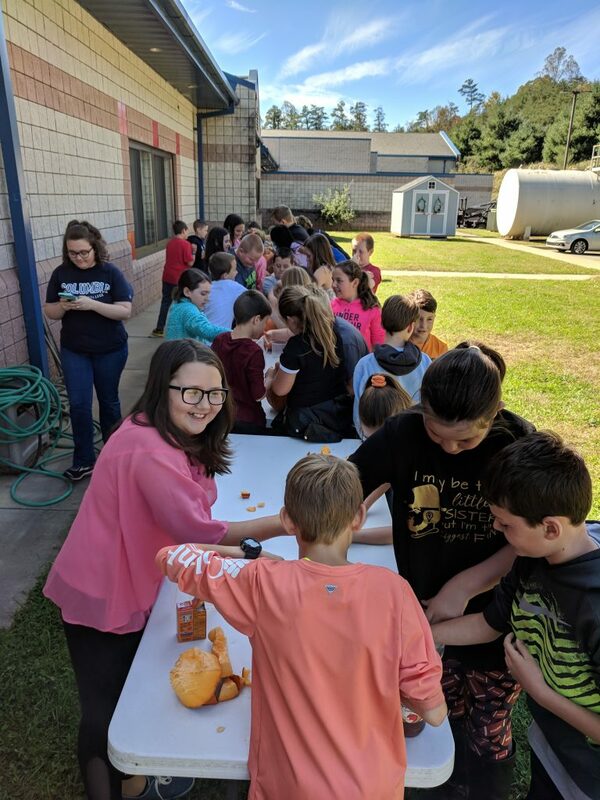 On October 18th, a wonderful event for the fifth graders took place thanks to the two fifth grade teachers: Mrs. King and Mrs. Buchanan. 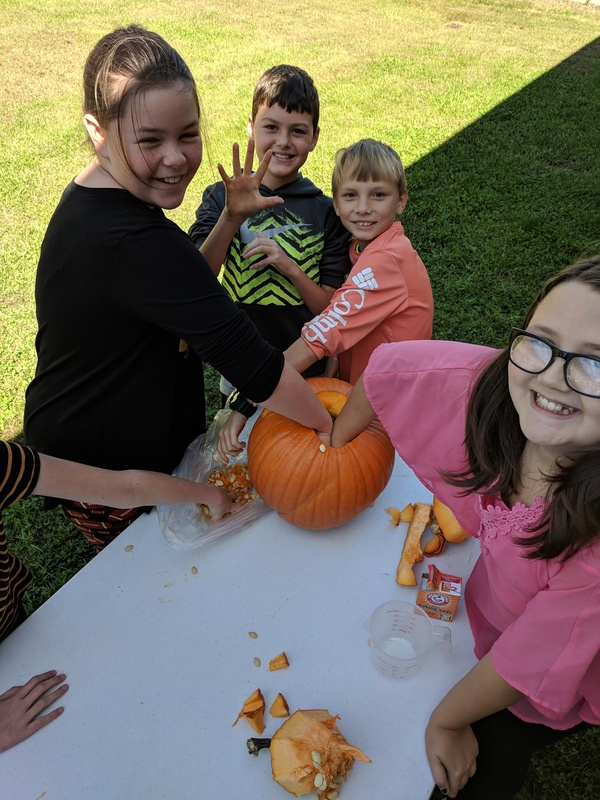 The students were given a pumpkin for each group of six or seven students. 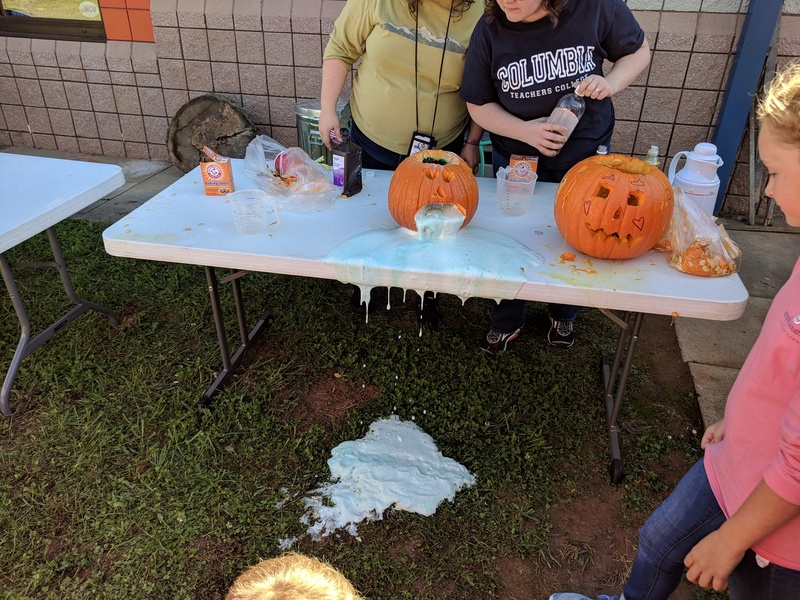 They were able to design their very own pumpkins with a little time, a sharpie marker, and collaboration among friends. 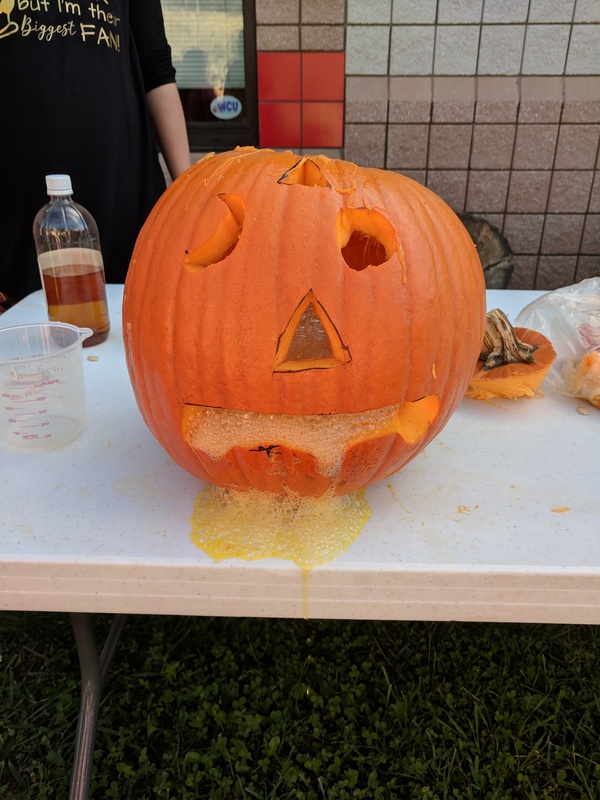 The fifth graders in my group kindly let me name name our pumpkin and I named her Clementine. And so…the pumpkins were carved in all different shapes and sizes. 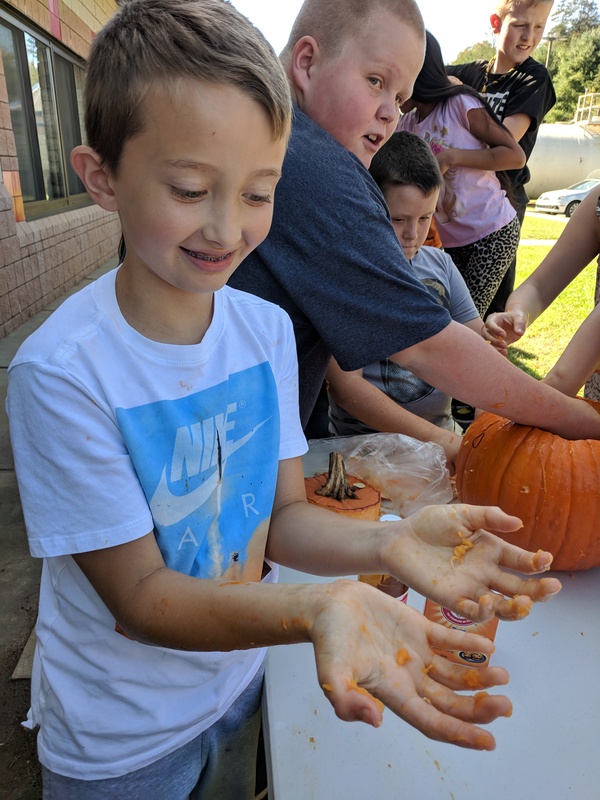 Students marched outside happily prepared to take on some pumpkin guts. I was personally disgusted by the sight of the stringy seeds and fibers, but others happily reached in to clean out the pumpkin. After they were gutted, we made the pumpkins do what we’ve all been waiting for… TO MAKE THE PUMPKINS BARF! Vinegar and baking soda were added to the inside of the carved wonders. This resulted in an amazing chemical reaction that was visible from the foam and production of gas when these two substances were combined. Bubbles flooded out of poor Clementine dropping to the grass almost resulting in a poor worm’s home being demolished by the pumpkin’s vomit. Luckily the little fellow narrowly escaped Clementine’s stomach rage. The addition of green and yellow food coloring made the barfing pumpkins look sick. In the end, we had a wonderful time adventuring into the world of science. The experiment had been an astonishing sight. This has been Sawyer Bass reporting for The Riverbend Times.